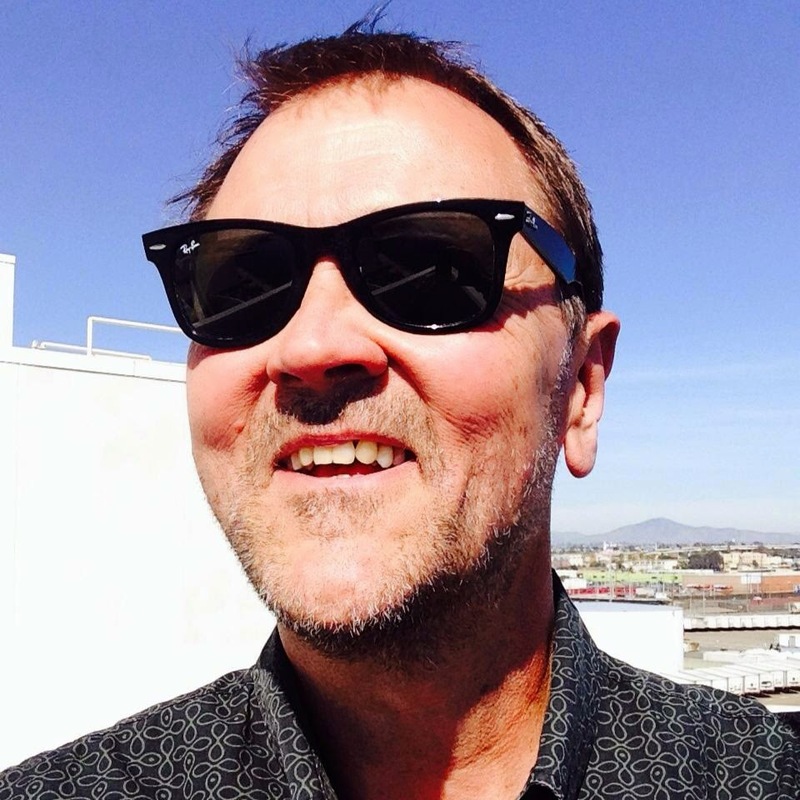 May's SanDiegoRadio Spotlight features Lincoln Financial Media's Nick Upton. 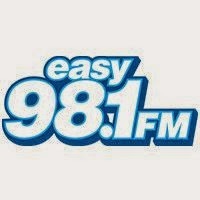 Afternoons on Easy 98.1, 3PM - 6PM weekdays, plus Interactive/Digital Director for the Lincoln Financial Media Stations. AKA, Web Site/Social Media wrangler. Can’t complain! With the new afternoon position, I’ve again been given a chance to start a new chapter, but continue with a company and group of people that I deeply admire and truly enjoy working with. In my many years at KSON --14 of those years as Music Director of the station – I’ve had a chance to meet a lot of interesting, talented artists. Some who became monumental stars, others who were never heard from again. 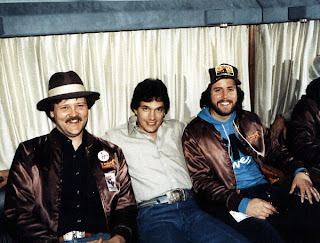 One of the moments I remember was sitting on Garth Brooks’ tour bus behind the now-defunct Bacchanal club on Clairemont Mesa Blvd. It was 1990 and Brooks’ was preparing to release his second album, No Fences. He – not his record rep -- played a few tracks from the album for me and said he had high hopes for its success. Today, he’s in the middle of one of the biggest tours in the business. There are many, but two come to mind. I really love our downtown. Being in San Diego as long as I have, I remember what our downtown used to be like. Now, there are so many great restaurants, music venues, the Embarcadero – and PETCO Park! The other would be ​the largest State Park in California, our Anza Borrego Desert State Park. I'll take any chance I get to take my RV out to the desert for a week or a weekend. If I said ‘yes,’ I’m sure the reader would get a real chuckle outta that. As exciting as day one? Probably not, considering I was nervous as hell and couldn’t believe I was finally getting to do what I had dreamed about since grade school. Nevertheless, I do still find it exciting. Even after 37 years for this company, I remember feeling quite excited when I was asked to go back on the air full time with Easy 98.1 Is the job still as REWARDING? Yes, and probably more so now, because I know so much more about what it takes to sustain a career and make a station successful. For a really nice dinner, The Prado in Balboa Park has been a favorite for a long time, or La Casa Del Zorro, Borrego Springs. Favorite hamburger? Rocky’s in PB or Fred’s in Alpine. Favorite Mexican Food? Hacienda Casa Blanca (formerly Antonio’s) in El Cajon, or Carmelita’s in Borrego Springs. I always lived in Southern California while growing up – but in over 15 different cities. Almost a different location every year, including Riverside (where I was born), Canoga Park, Santa Monica, Pasadena, Beverly Hills, San Bernardino, Bloomington, Pomona, Green Valley Lake, Blue Jay, Lake Arrowhead, Palm Springs, Huntington Beach, Anaheim, Santa Ana and Escondido. It’s one of the reasons I’ve been in San Diego my whole career. I didn’t want to move around any more. Also, I’m not only on the radio at work, but also at home. I’m a Ham Radio operator and will spend time talking to stations around the country or around the world. We have to see beyond technological changes and realize that radio is, or should be, what it’s always been. A LOCAL connection between a listener and their community. It’s music, entertainment, comedy, emotion – and all usually delivered one to one. Sometimes, old-timers like me think back to the days of turntables and carts and lament that computers handle it all now. But, do we have more time in the studio? We’d better not. We’re interacting on social media, creating web site content and (hopefully) using the time we used to take to cue records and pull carts – planning our next break! Undoubtedly, technology will continue to change. I thinkradio will survive if it stays local and relevant. Pandora may have the music thing down, but it will never be a morning show like KSON’s John & Tammy in the Morning. Real, personable people. Spotify can’t relate to you and understand what’s it’s like to navigate the 5/805 merge at 4:40PM. Beats Music doesn’t know or care who is coming to Humphrey’s this Summer or why a new band is a must-see at The Observatory in North Park. When personalities know and understand their listeners’ thoughts and concerns, the listener knows it. That’s a special connection​ that only radio has​ and we’re all ​just​ trying to get it right. All-time fave: It’s a Mad, Mad, Mad, Mad World. Probably because I saw it in Cinerama, in Hollywood, when it was released in 1963. Also because it’s damn funny. More recently: The King’s Speech. Hey, it was sort of about Radio! To me, it’s what the “phones” were to Top 40 radio some years ago, but much more. Not only is it the preferred way our audience has to connect with us now, but it’s also our connection back to them. It’s no longer just about them listening to us, but about us hearing what they have to say and acknowledging it. It makes them more of a participant. Now, a listener can be your concert photographer and when you like, comment on and SHARE what they have done, you better believe that’s special to them. Remember what it was like when the DJ played your call on the radio? It’s not much different. For more than 20 years, KSON has been involved in the Country Cares for St. Jude Kids® Radiothon. Every year when we wrap up the Radiothon, the entire staff gathers​​ as our final total is read and it's always an exciting and special moment. It's a moment when radio becomes so much more than it usually is - educating and encouraging people to support a wonderfully vital cause. Over the years, our listeners have raised well over 10 million dollars for St. Jude. 40 years. Although, in about 1982, I was told I was “this close” (makes gesture with thumb and forefinger indicating about one-centimeter in distance) to being gone. By the way, many people ask why I’ve stayed at one station as long as I have. 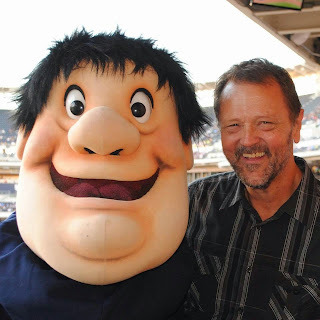 Truth is, when I came to KSON, Roy Stingley, the Program Director at the time, told me he didn’t want this to be just my “stepping stone” into San Diego radio. I said it wouldn’t be. Well, I couldn’t go back on my word, could I? Around the time I left high school, I was a bouncer at a couple theaters in Escondido. That was a lot of fun and I saw some really good movies for free. A lot of garbage, too. Plus, there were some interesting moments, like the time I was on a break, sitting down front in the theater and a guy came running down the aisle, screaming, apparently having an LSD flashback, and jumped at the screen. It was during The Sting. I don’t know, maybe he thought he knew Paul Newman. There are certainly great broadcasters today, but I look back most fondly on my formative years and the big personalities of the time. 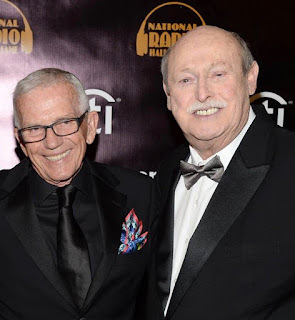 In the 1960’s, I was lucky enough to be able to hear the Boss Radio jocks of 93 KHJ in Los Angeles, like The Real Don Steele, Bobby Ocean and Robert W. Morgan. In the 60’s and 70’s, I listened to a phenomenal team in Los Angeles called Lohman & Barkley. A more recent name would be Bobby Rich. 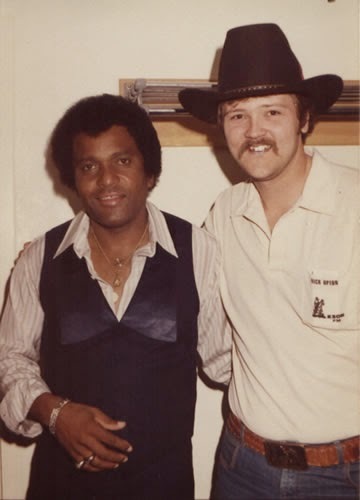 He’s worked many places, but I enjoyed his work in the 70’s and 80’s in San Diego radio, first as Program Director of B-100, and later as host of The Rich Brothers B Morning Zoo. I even remember hearing him for a time on KFMB-AM. Today, Bobby works in Tucson, AZ and was inducted into the Arizona Broadcasters Hall of Fame in 2013. Our Operations Manager, Kevin Callahan, is a pretty smart guy too. I think it would be in the heyday of Top 40, working for a Bill Drake-programmed station such as KHJ, WOR-FM New York, KFRC San Francisco or even KYNO in Fresno. It was a very innovative time for radio. Nick, thanks for your time! Nick IS a great guy!